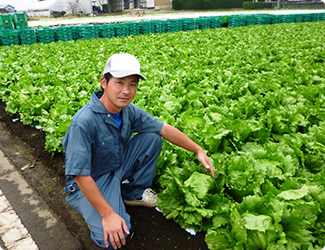 The vegetables used by MOS BURGER are all sourced domestically and freshly supplied by a network of 3,000 farmers around the nation. While of course controlling from where and by whom our ingredients are produced, we use only “vegetables that reflect farmers' passion” with the aim of informing our customers about production areas and the passion with which our affiliated farmers cultivate their vegetables. Adhering to what we regard as the gold standard for hamburgers, our 'tobikiri' patties consist of ground pork and beef that are both exclusively sourced domestically, and come in a jumbo size that is 50% larger than regular patties. We have been extremely particular about quality and created patties that are worthy of the name 'tobikiri' by virtue of their juicy and soft texture, their aroma that will appeal to people who enjoy meat dishes, and their deep flavors. 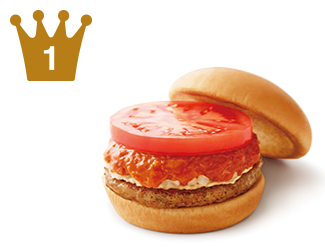 The chilled tomato slice goes perfectly with piping hot meat sauce and freshly grilled patty. 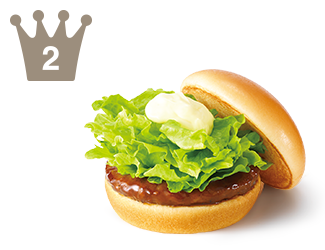 Fresh and crispy lettuce drizzled with MOS original teriyaki sauce and mayonnaise. 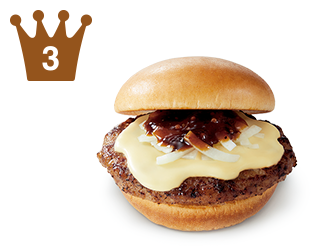 Juicy ground beef and pork patty topped with MOS original Gouda cheese and butter sauce. 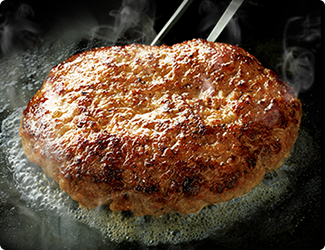 * Tobikiri Burgers exclusively use domestically produced meat. * Please note that some menu items may not be available at certain stores. * Please note that depending on the time period, it may not be possible to accept orders for some menu items or at certain stores. * The images above are for illustrative purposes only.